Phil McCash teaches a range of modules across the MA in Career Education, Information and Guidance in Higher Education and MA in Career Development and Coaching Studies. These include Career Development Theories; Career, Vocation & Calling; and Career Development Learning. He also supervises student research projects and dissertations. In 2008, he was elected a Fellow of the National Institute for Career Education and Counselling. He currently edits the Journal of the National Institute for Career Education and Counselling. Gill Frigerio works as an Associate Professor and Co-Director of the MA in Career Development and Coaching Studies. She leads a number of modules within the Career Education, Information and Guidance in Higher Education course and supervises dissertation students. Catherine Reynolds is a part-time tutor in the Centre for Lifelong Learning where she teaches and supports modules in both the Career Education, Information and Guidance in Higher Education and Career Development and Coaching Studies courses. Catherine is an experienced careers adviser and trainer. She has worked in various contexts in Higher Education since 1993 and was awarded an HEA National Teaching Fellowship in 2006. Ian is a very skilled and experienced executive coach and co-author of Challenging Coaching: Going beyond traditional coaching to face the FACTS. Ian has presented at the largest international coaching conferences and has significant experience of developing coaching skills. Carolyn Reily is an experienced coach, consultant and trainer with extensive experience of working with small and medium enterprises, supporting them to develop and grow their businesses. She has a strong interest in coaching entrepreneurs though high growth and supporting their personal as well as business development. John is a Senior Teacher Fellow in Career Studies. 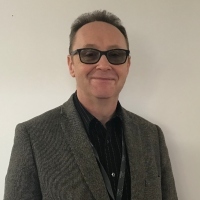 Prior to working at Warwick, he has run professionally-accredited career guidance development courses, including the Qualification in Career Development (QCD) and the Level 6 Diploma in Career Development and Guidance.